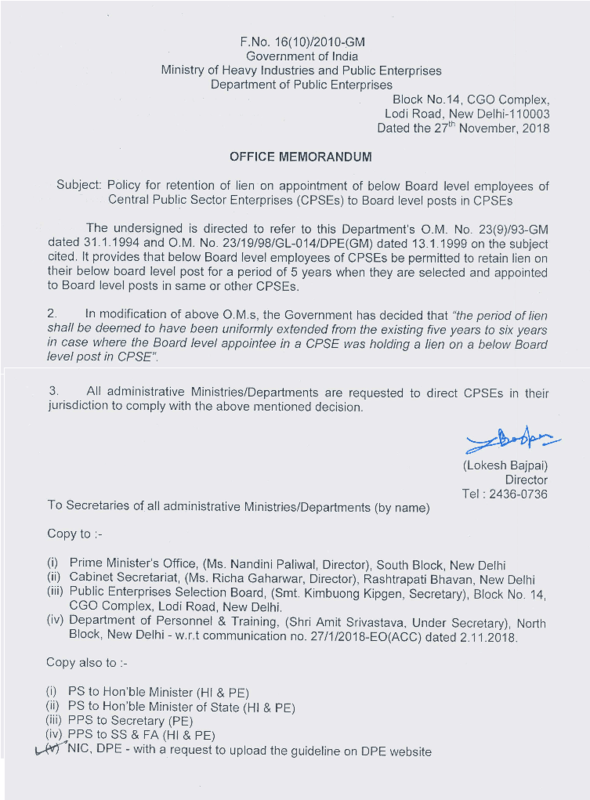 (iii) Public Enterprises Selection Board, (Smt. Kimbuong Kipgen, Secretary), Block No. 14, C60 Complex, Lodi Road, New Delhi. (iv) Department of Personnel & Training, (Shri Amit Srivastava, Under Secretary), North Block, New Delhi - w.r.t communication no. 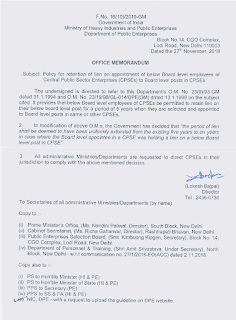 27/1/2018-EO(ACC) dated 2.11.2018.